In the summer of 2016 Kerry Fox, a trustee of the CVI Society and mother to Alfie, made a speech to the Queen Elizabeth II School in London. Kerry gives her perspective on dealing with the "experts" and professionals and how she has managed to get the best outcomes for Alfie. When Alfie was born over 16 years ago I could find little or no information especially about CVI in children. The books I found were academic and revolved around research into the condition suffered by adults who had acquired brain injury. 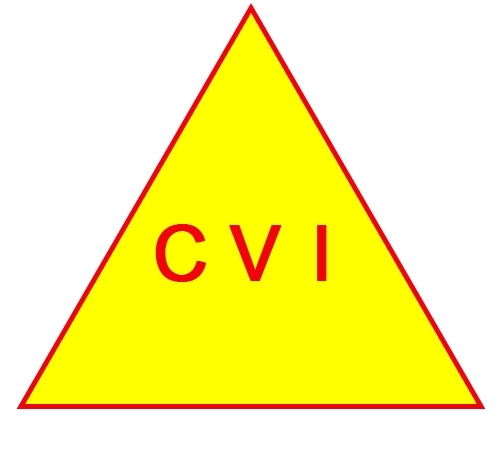 We know that after the first world war the phenomenon of CVI came to be recognised but in over a century little moved on from that especially for children, only in recent years have we seen more awareness and literature through the work of Gordon Dutton and others as well as now having a CVI clinic at Great Ormond Street Hospital under Richard Bowman. Alfie was diagnosed at a few weeks old with bilateral occipital lobe damage and we were referred to the VI service as well as many other therapists and professionals. We had support from the peripatetic VI service, albeit sparse, but we had it from the point of Alfie being diagnosed with brain damage at the age of 5 weeks thanks to our neonatal consultant. During his first two years he responded to very little in his visual world, having spent most of his life at that time in and out of hospital battling West Syndrome and other seizure types, with the odd bout of pneumonia thrown in for good measure - the nurses queried his vision and if we had noticed that he didn't react or follow or fix. CVI isn't Alfie's only disability, he has quadriplegic cerebral palsy, severe speech and language difficulties, audio processing and sensory processing disorders and complex epilepsy, vision was one area in many we had to work on and very little therapy focuses on the whole child, each condition is often treated in isolation. As Alfie grew older my hair colour was his recognition cue. The first time I changed my hair colour he freaked out, if I changed my hairstyle he freaked out.... a different looking mum with the same voice took some time to adjust to. He discovered his world eventually, although he has cerebral palsy and did not walk until he was over the age of 3, he made tentative movements on the floor by using an inflatable roll with a bell in -this was his guide. He would check his immediate space by banging his arms and legs around him to ensure he would not fall into an abyss. Watching Alfie develop was like watching any neuro typical child but in Alfie's case it was all in slow motion, painfully slow motion. I feel privileged to have seen vision develop as a parent of 4 with 3 older children. I missed that with Alfie's siblings we do not have the advantage of watching development in slow motion it happens so quickly. Alfie knew all his sisters by their footfall- Charlotte in a rush, Sophie the loud banging stomping one and Eilish the gentle one that ended with a thump as she jumped the last 2 steps. Alfie started school at the age of 3 after being statemented and started at an independent special preschool for children with neuro- disabilities. It wasn't easy and we entered a difficult period -he was easily distracted couldn't concentrate, they were unable to do basic teaching with him and I was asked to go in and observe the problems they were having. I observed a teacher sitting by his side as he sat next to a large window -she could not engage him at all and completely lost all his attention each time someone stopped outside near the window to talk to a colleague. I walked in took a chair sat opposite him -drew the curtains enough to block his attention from the window and moved him slightly so his focus was on me directly in front of him. I kept this 3 year olds attention for half an hour, a child who by now had been documented as having less than a 2 minute attention span. Always remember to ask a parent as they know their child best. He moved on to a school for children with SLD and PMLD much against my wishes, but professionals felt he would not progress otherwise and we were told Alfie was not a child that would ever be in mainstream education we were told he would not read ....which I found hard to take as I had begun to teach him to read and he could recognise his name in written form - again I had to go into school and prove to a teacher he could read and how I had taught him, they ordered the Oxford Reading Tree that week and he is a proficient reader now, albeit customised and in small chunks as it can be extremely tiring and taxing for him. Alfie moved to mainstream education at the age of 7. It was not without teething problems, no he wasn't being naughty or malicious pushing children near the stairs he was freaking out, he can't see down. Luckily he soon had a 1-1 with knowledge of cerebral palsy and associated disabilities as she too was a parent and had worked with children with disabilities for many years. He did exceptionally well in mainstream primary with his 1-1 who had a complete 'can do' attitude and who spent hours modifying work for him, alongside a wonderful SENCO who led one of the best teams of TA's I have experienced. We were fortunate that Alfie, at this time had come under the remit of a VI Teacher who had recently attended a talk on CVI given by Gordon Dutton and as she herself would explain, she had her light bulb moment - we were indeed fortunate to have all the right people at a time in Alfie's life that proved to be an education for all the other professionals that were involved with him and he progressed. For me this was a large sigh of relief that I had found those who didn't think me mad and was on my page and Alfie's page a light in a dark tunnel! Secondary school unfortunately was another story, he regressed he became more isolated he couldn't handle corridors between lessons, the canteen, the school assembly, his seizures began to appear on a daily basis -school was not welcoming. 'I have taught special needs but not someone with that amount of special needs', was one phrase his teacher used. We got him out. He is now in a special school - They too have a lot to learn especially if the school isn't specialising in one or another disability. He likes the school it is small, it is quiet but he still flounders and the support isn't there on the whole. No yellow strips on stairs or kerbs, no customised reading books no multi-disciplinary working. Not the school's fault, it is housed in an old building and they rely on outside health and education services that as yet are not working in unison. Education has failed my son. The VI teachers with CVI expertise are few or so it would seem but actually we find it is the system -VI teachers held back by funding restraints, Local Authorities struggling with budget cuts moving the criteria goal posts that only allow their QTVI's to work with the most severely sight impaired -based on visual acuities. Our children fall through the gap into a black hole. Our children cannot access education. Professionals, in the early days, did not want to take me seriously re CVI they didn't want to engage or dare admit I may know what I was talking about given that I was a mere parent ...the ophthalmology consultant told me to stop googling , he told me ''there are children with visual impairments that are struggling to make sense of their visual world Alfie just has a processing problem nothing wrong with his eyes go speak to an educational psychologist if you want but it's not my concern and I'm not interested'' - that particular consultant blocked my requests for referrals to specialists as he didn't think it was necessary. Luckily he retired and as soon as he did Alfie saw Pat Sonkssen -aged 10 ....10 years before anyone accepted he had CVI - she formally diagnosed him and the professionals involved suddenly started to take the condition a little more seriously with the VI service upping their involvement now those 3 little words CVI appeared on a 'professionals report' my recognition and his neonatal paediatrician's recognition was discounted until the ''expert'' had written it in a report!! While that was nearly 7 years ago we at the CVI Society are hearing from parents that they are still finding that consultants do not know about CVI that it isn't recognised and that educational professionals are unable to support their children or just don't know how to support them. Now imagine what it is like for the child who no one listens to, children with CVI tell us every day what their difficulties are -the behaviour they display usually see them referred to CAMHS, questions re your parenting ability levelled at you, and occasionally a teacher will ask if he should be referred for an autism diagnosis. Isn't it about time we listened, we still have children who are struggling because CVI is not being recognised and many children are out of school due to the fact they are not coping in an environment that is not looking at adjusting or modifying to meet their needs. Children are left to fail. Many local Authorities do not recognise that a child with CVI needs the input of a peripatetic VI Teacher and will not see a child unless they are registered severely sight impaired. How can we expect our children to learn? Many are waiting for CAMHS services due to the emotional fall out or the misdiagnosis of behaviour problems. Too little is recognised in respect of the sensory processing disorders that go hand in hand with CVI and multidisciplinary working is a must especially when a child has several disabilities such as mobility issues and motor control, speech and language and complex sensory needs. See the child as a whole! I hope that today you are able to take away the message that enough is enough we must stop failing children and young people with CVI and bring the condition to the forefront it has been over a century and we have waited long enough, we need to tackle this at the highest level and ensure our children and young people are not overlooked and swept aside as government cut funds and Local Authorities cut services-we need to move forward not back!! This was a speech given by Kerry Fox to the Queen Elizabeth II School in May 2016 on behalf of the CVI Society. Kerry was a founder trustee of the CVI Society.